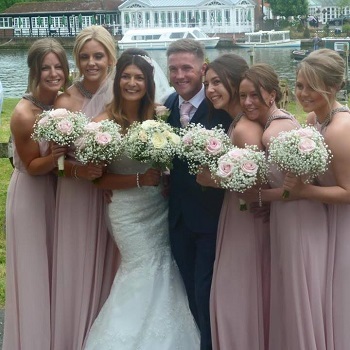 To celebrate the new year, we thought we would take a look back at some of our 2015 & 2016 brides and grooms. Come on, we know you love a pretty dress and a smart suit! 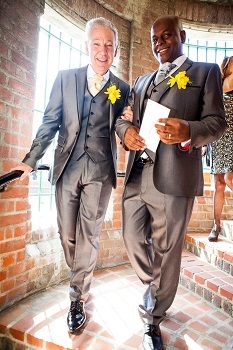 And of course, we will include our usual tips and ideas for your own wedding. 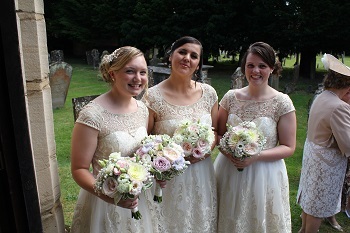 Jade with her bridesmaids used bouquets of gypsophila. 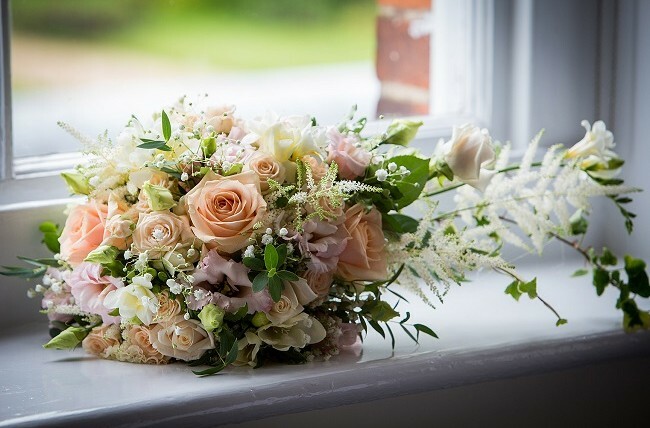 Gypsophila dominated the bouquet scene that year and are still very popular today. A simple flower, but hugely effective. 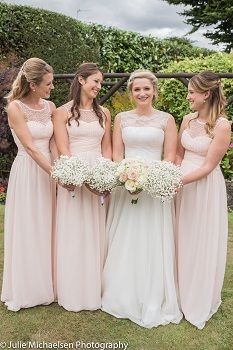 Emma with her lovely maids in blush pink. Again, gypsophila was a favourite here. 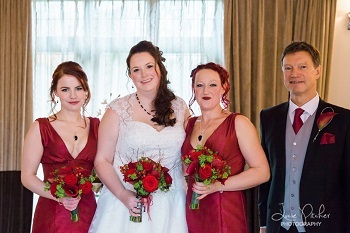 We have a wonderful video of Emma’s wedding day on our Featured Weddings page that she shared with us. Why settle for static pictures? Make those photos come to life with a video for your own wedding. 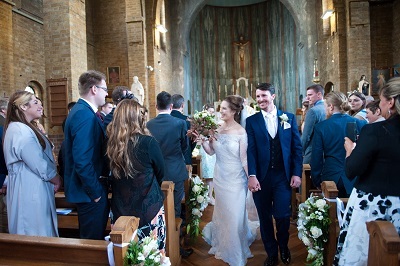 Paul and Christiano tied the knot and enjoyed a fabulous reception at The Crown Amersham. Lemons and limes featured in all their decorations to remind us of Christiano’s roots. They even made their way into the signature cocktails, Caipirinhas! A signature cocktail is a wonderful way to mark your own wedding! 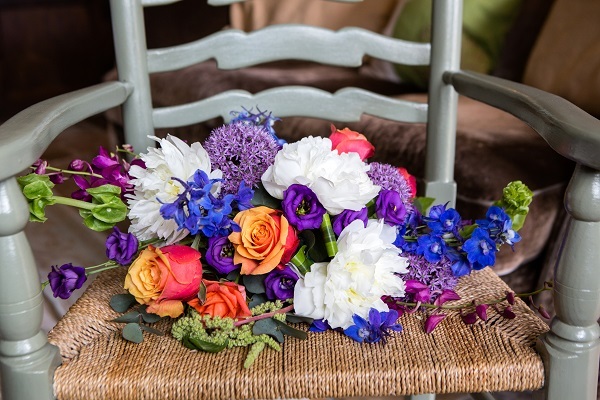 This bride chose a very pretty and unusual mix of colours for her bouquets. You don’t have to be conservative when choosing your colour mix – break out of the mould! And who says that bride’s have to be in white? 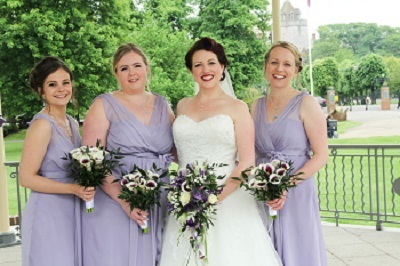 This bride chose a coloured dress, so be bold if you fancy. You can find out more about alternative wedding dresses at Rock n Roll Bride. 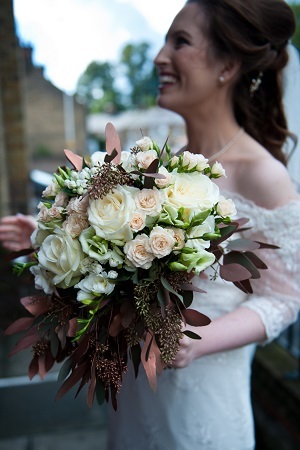 For a rather different twist on the traditional bouquet, Laura added copper foliage to her bouquet and flower arrangements. Laura and Stephen’s wedding was graced with the most abundant foliage and flowers we have seen so far. 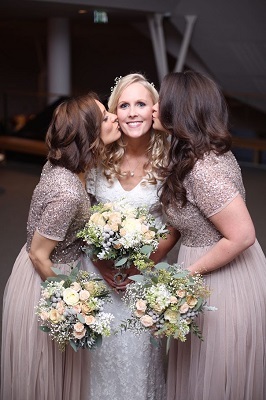 Watch our Featured Wedding page for a special blog about this wedding. 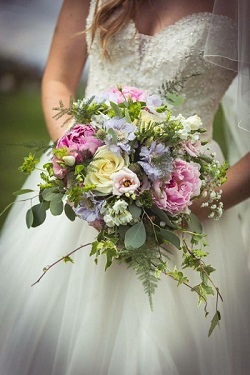 The pastels in this bouquet for Becky’s wedding were stunning. 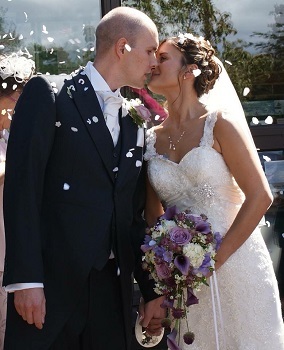 We also created a flower arch for the ceremony at Great Fosters in Egham, and decorated a branch with hanging wisteria, peonies and foliage that hung above the top table. If you have a decoration idea like this one, we can create it for you or we can come up with something unique just for you. 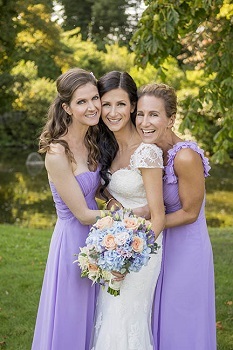 We will always help you make your wedding your own! 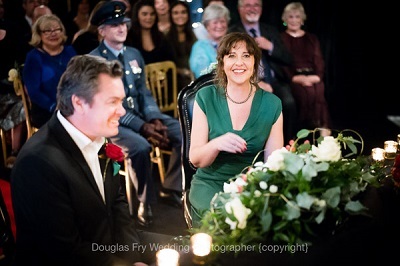 And last but definitely not least, our lovely Louise married Travis at The Swan at Shakespeare’s Globe. As a tribute to her late mum Eilean, Louise lit a candle on the registrar table flowers in remembrance. 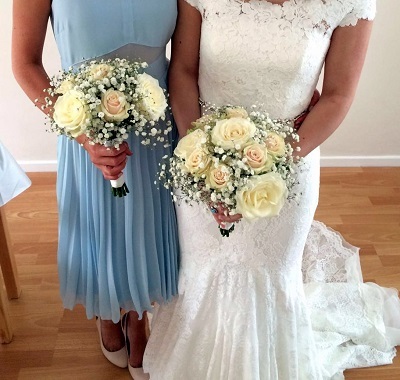 She also attached a photo charm to her bouquet, keeping her mum with her every step of the way.